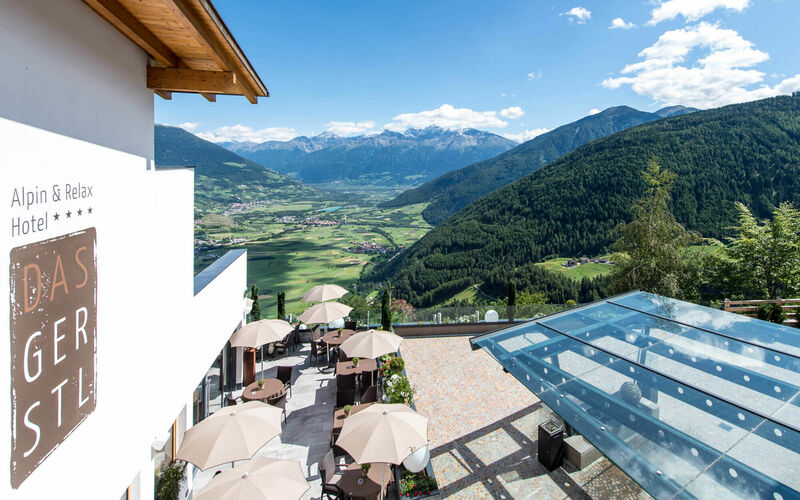 You will reach Hotel Gerstl in Burgeis by way of some of the most beautiful Alpine passes: From the north you will come via the Reschenpass, from the west via the Ofen Pass and Fluela Pass and from the south via Bolzano, Merano, Mals and Burgeis. Our Hotel DAS GERSTL is situated in the direction of Schlinig and the Watles Ski and Walking Resort. From the nearest town of Mals you will reach us via Burgeis, 10 Minuten (7 km) beyond Kloster Marienberg.